Designed by Vlastislav Hofman in 1912. Modernista Cubist Collection, Czech Republic. 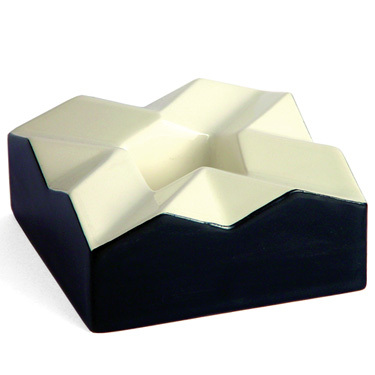 With its folded planes and suggestion of rippling movement, or possible implosion, Hofman's ashtray is a perfect illustration of his attempts to break up matter, exciting it to movement and then freezing that motion in a momentary stillness.